What you may be asking? This past week, I was at The Ottawa International Airport for a meeting. They are one of our long-standing corporate clients. I arrived about 15 minutes before my meeting, and happened to notice a bunch of people with Canadian flags and signs. It was a number of Canadian Olympic athletes returning from RIO, including Erica Wiebe who won a gold medal in wrestling and lives in Stittsville. It was another proud moment for me as a Canadian. I was also struck by the reality of the end of an era for a number of the athletes arriving home. For many, they will be retiring from their sport and asking important questions about what is next, where they will take drive and talent, and what is their new definition of success. For this group of people this is a complex question. They have had both the opportunity and challenge of being in a situation where they have been working at a very high level. 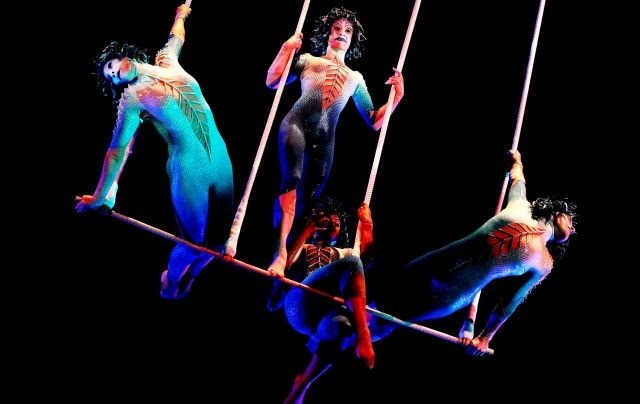 A number of Olympic Athletes will be joining the circus. This reminded me of a conversation I had this week with a new client. She has had a number of successful roles, but is now ready for a new challenge. She is looking for something that she can perform at a high level, truly be engaged by, while also balancing her economic needs and goals. Like other professionals, you may be at the exact cross roads that these athletes are. You may be asking these exact types of questions. What talents do I have? What are my career options. How can I find something that I can truly be committed to and aligns with my values, talents & interests? If you need support in reaching your goals, give my team a call at 1-877-256-2569 ext 4. Who is your career & leadership coach? P.S. Calling all Federal Public Servants! If you missed our Information Session & Luncheon last Thursday August 18th, you can watch the recorded version on CareerJoy’sYouTube channel here. Thank you to all who were able to join us! P.S.S. Don’t forget to join us for the next complimentary webinar, Get the Right Career Right Now! and learn why & how you can make the transition you’ve been thinking about.Wednesday August 31 at 12:00 pm ET. Click to RSVP & learn more!